Playing a video game increases cognitive performance, this increase is similar with a non violent and a violent video game. The cognitive ability increase was similar for both types of video games, which suggests that content does not seem to affect the overall cognitive outcomes of video game play. Participants were randomly assigned to three groups: the control group (n = 54), the non-violent video game experimental group (n = 27), and the violent video game experimental group (n = 32). Participants in the non-violent experimental condition played one session of marked numbers for four minutes, the tile game for ten minutes, and the marked numbers game again for four minutes. Participants in the violent experimental condition played Red Alert 2 for 18 min. Finally, participants in the control condition used the Internet to search for information relating to air traffic controllers for 18 min. In contrast to earlier research this study addressed some of the problems in the past literature. First, the participants had to perform the outcome test four times. This was studied in a pilot in which the researchers determined how many trials were needed to reach asymptote on the criterion measure used in the randomized trial. This way it was ensured that any observed change in scores of this measure were not based on a practice effect. Second, they did not specifically sample video game players. Thus, the generalization of the findings can be applicable to more than just game players. What kind of cognitive performance was tested? A task of adding three numbers, e.g., to add 482 to 123, or 193 to 12. The participants playing video games showed increased cognitive performance compared to the control group. This increase is similar with a non violent and a violent video game. Visualization refers to the ability to mentally manipulate visual patterns. 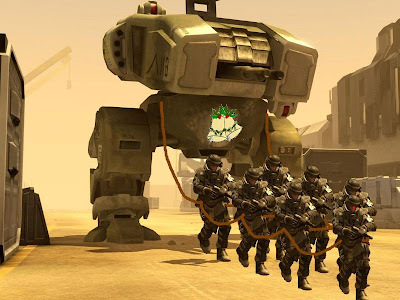 For instance the ability to visualize a 3-D object from a 2-D object improves with practice with video games. tracking in the computer game literature is viewed as a dual process consisting of hand tracking (using the keyboard/controller) and visual tracking (attending to objects on the screen). It’s becomes clear that games can have a positive effect on health, whether by helping to improve kids’ fitness levels, or by being used as physical rehabilitation tool for the elderly. These are just two examples of video games used in health care in a recent post on BBC News: Video games get into shape. Computer game players with more physical-aggressive personality manifest more violent behaviors in game playing with more violent interactions, more frequent punching and kicking actions, and more frequent shootings. This research is one of the first to show that personality is an important factor in how a game is played. The most important contribution of this study is that it investigated the individual experience of game playing. Most of the existent studies, especially experimental studies, simply compare a group of people playing a violent game and another group playing a nonviolent game without taking into consideration that the violent content people are exposed to can vary to a great extent even when playing the same game. This study is the first that goes beyond contextual variables and actually considers the unique experience of each individual player. Screen captures of 40 undergraduate students were studied. They independently played the game for 70 minutes, sitting separately from each other and wearing earphones. The video stream of the last 10 minute portion of their game playing was recorded using the software Snagit for content analysis. Two popular computer games The Godfather (Game 1) and True Crime: Streets of LA(Game 2) were used. Both are third-person action games rated as Mature with violent physical force. Participants played either as a gangster in Game 1 or as a violent police officer in Game 2. Both games involved driving, shooting, fighting, and interactions with nonplayer characters (NPCs). In both games, players could use natural means (e.g., punch, kick) or weapons during violent interactions. Using two games rather than one was aimed to reduce the influence of a specific game. Eighteen of the 40 participants played Game 1, and 22 played Game 2. Physical-aggressive personality was measured a week before participation using the physical aggression subscale in Buss and Perry’s Aggression Questionnaire. Five dependent variables were used to measure the aggressiveness of participants’ game play: (a) frequency of PAT, (b) frequency of nonviolent interaction, (c) frequency of using natural means, (d) frequency of using firearm, and (e) percentage of two types of consequences: severe and mild. A PAT is an aggressive exchange that occurs between a perpetrator (P) engaging in a particular type of act (A) against a target (T). The next step would be to examine whether aggressive game play actually mediate the effect of playing violent games. 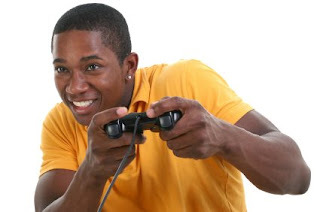 Will a violent game player later show more aggressive thoughts, affects and behaviors. A small sample size with undergraduates makes generalizability limited, the participants were mainly male, only 6 women participated. Aggressive thoughts, affects or behaviors after game playing weren’t measured. This would be of interest for the effect of violent game playing. 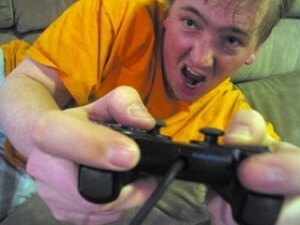 Other factors such as playing against a human or a computer and playing on a 42 inch screen or a mobile phone screen can also influence game play. I like computer games, it keeps my mind of things, help me relax. It is suggested that in order to keep the brain fit as we age it is important to keep it stimulated. Use it or lose it applies to the mind as well as the muscles. It is also suggested recently that it may be possible to train people to be more intelligent, increasing the brainpower they had at birth. Therefore these fun interactive anti-aging online memory games. To make your brain sweat. There is some advertising but Firefox captured just one pop-up. My favorite: Secret Files. Online game players score higher in openness, conscientiousness and extraversion compared to non players. They are eager to learn and master new challenges, they are motivated by competition and they enjoy social activities which can all be provided by online game playing. The online game playing provides them with initial experiences of success and then provide them with more complex challenges creating a flow of immersed experience further satisfying their needs. 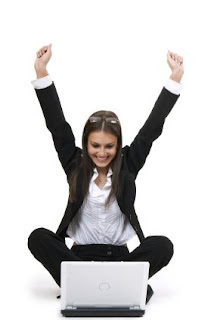 This creates a positive spiral enhancing their online game experience. Chin-I Teng the author of this articles says:”I also believe that skill of players matters in player intention to continuously play online games.” Not only personality but also skills such as visuospatial memory,speed of reaction, problem solving skills play an important role. Participants played various online games, including international popular games such as Warcraft3, Lineage2,Crazyracing, Rich Online, and Nostale. Eight hundred three Taiwanese students were approached in high schools and universities, and 591 questionnaires were collected, producing an effective return ratio of 74%. The matched sample comprised 130 pairs of students, which was used for analysis. The two students in each pair were matched by gender and age because players and nonplayers were found significantly different in gender and age. A matched sample was used to minimize the confounding effects of gender and age. Seventy-one percent of participants were male, and all were between 12 and 22 years of age (Mean 16.06). Of the participants, 89% had a monthly income below U.S. $180,while 98% had access to a computer at home, reflecting the Taiwanese student population. This scale determines varying levels of introversion and extraversion. Along with introversion and extraversion the inventory also measures openness, conscientiousness, agreeableness, and neuroticism. The mini-marker asks participants to rate themselves according to 40 different measures (e.g. creative, extraverted, philosophical, and sloppy) using a Likert scale from 1 to 9, with 1 being extremely inaccurate and 9being extremely accurate. Although the mini-marker is a shortened version (about half the personality measures) of the NEO-5 factor, Saucier (1994) determined that it was representative of the full 100 trait NEO-5 factor inventory. The mini-marker was developed on behalf of many people who appreciated the fact that it was shorter and more efficient; however, Saucier (1994) stresses that because of the smaller version it may create lower reliabilities. Online game players and non players didn’t differ in agreeableness and neuroticism. According to the authors this research shed some light on online game playing and personality, their suggestion for further research is to investigate personality to different online games. The limitation of this study is the selection of personality traits, the change of finding what you are looking for is relatively large with this design. The selection of participants is relatively selective, students just aren’t the average kid in the Internet cafe around the corner. These results can not be generalized to larger populations.So this research has some limitations nevertheless I like the outcome it counter balances all the negative publicity around internet addiction and game addiction.To my opinion these are just other disguises of the same problem and not a reason to hamper new developments such as Internet and gaming since this would lead to throw the baby out with the bath water. This new portable device brings a shocking experience to your playfull-life. Enjoy this game with your friends, be quick and you won’t be the one who suffers from a tiny electric shock wave. 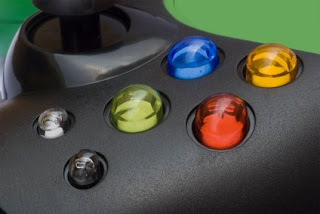 Each of the four players keep their hands on the base of the device. You push the center button and the music starts to play accompanied with red light flashes. Suddenly, the music stops and the light turns green, and if you’re not quick enough to hit your button you’ll be the one that will receive the electric shock. Game players perform best and fastest in a computer game world lit with a warm (reddish) as compared to a cool (bluish) lighting. Red lightning in a Computer Game also induced the highest level of pleasantness in game users. It was probably the level of pleasantness induced by the warm lighting that enhanced the players’ better performance in that digital game world. These results are important for game designers and developers of online communities and visual worlds. Nevertheless maybe in the future also for indoor lighting and even depression considering the effects on mood. Wouldn’t it be nice when suffering from depression and being treated with computer games three times a day? In experimental psychology there is some evidence that indoor lighting can have an effect on mood. The influence of indoor lighting on psychological mechanisms is complex.This study was designed to investigate the impact of warm (reddish) and cool (bluish) simulated illumination in digital game worlds on game users’ affect and play performance. 38 people participated in this study (14 women and 24 men), mostly students with a mean age of 22 years. They were payed to participate 15 dollars. The players navigated through 3 different lighted sequences of Half Life 2.The three different lighting conditions were neutral (grayish), cool (bluish), and warm (reddish). Affect ratings and game performance were outcome measures.